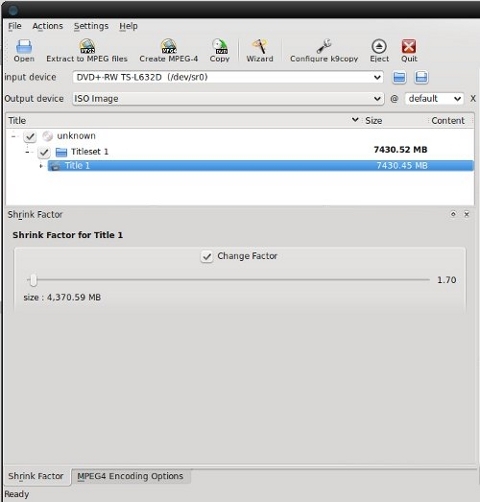 Let’s say you have an 8GB DVD ISO file and you want to shrink it to a more acceptable 4GB ISO file. You can use K9Copy‘s Shrink Factor feature. Just extract the DVD files into a separate folder, load that folder in K9Copy (by using the Input Device‘s Open button), select ISO image as the Output Device. Now select a Titleset from below these two fields, and check the Change Factor checkbox. Now resize the file as you wish and press Copy from the button bar.